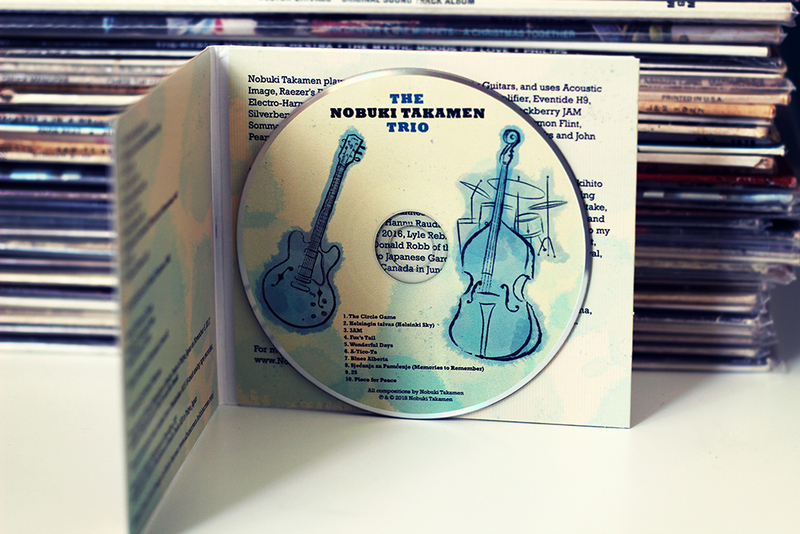 I’m so happy to see come alive the new CD by New York Jazz guitarist Nobuki Takamen! It’s been such a beautiful experience to create the cover and design for the artist’s 7th release. I did this job during a two month stay in Madrid, while holding a couple of Album Cover exhibitions and other projects. It was a very special time! 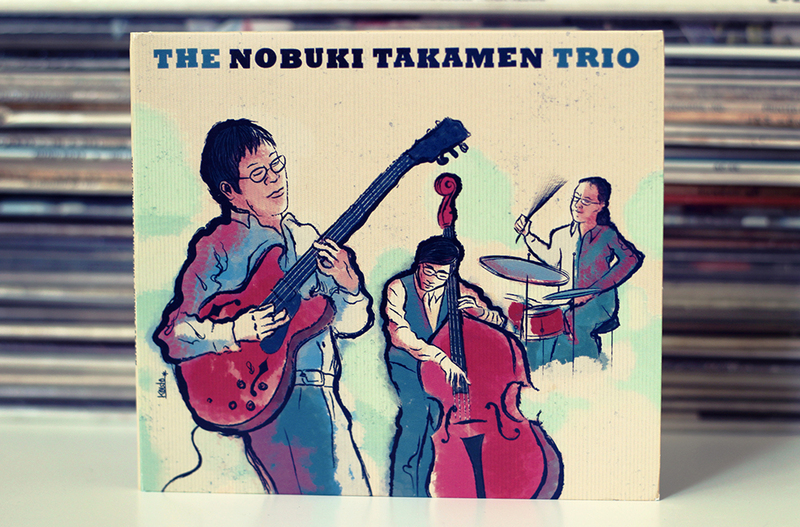 For this cover, Nobuki wanted a very classic retro feel inspired by early Jazz artists, such as like West Montgomery Trio. 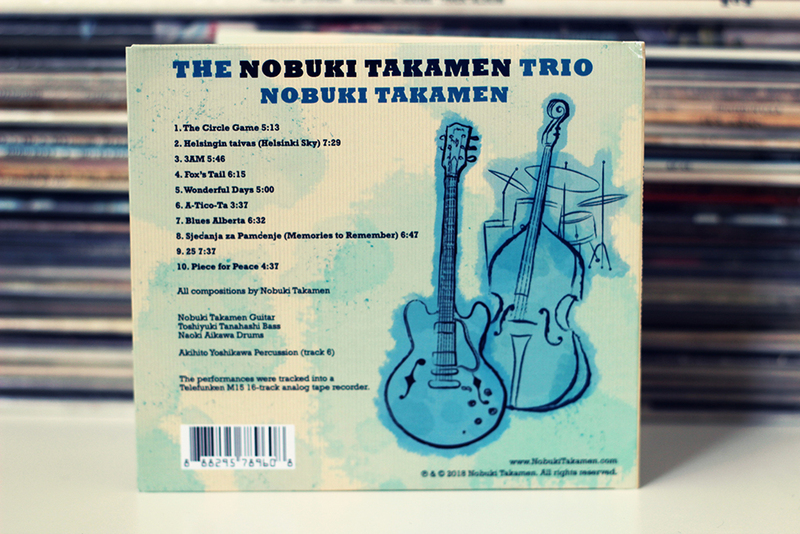 I focused the most in capturing the vibrant vibe of the musicians playing live and Nobuki’s vivid guitar playing. 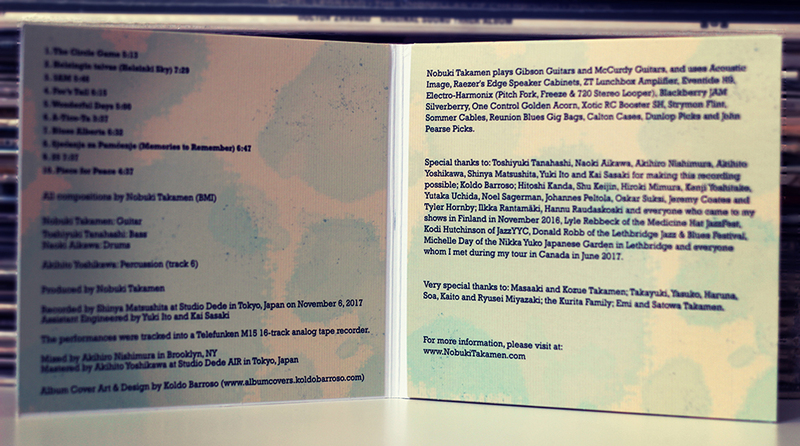 Such a real pleasure to work for Nobuki!